Written by エスキューブ札幌. Posted on 2016年12月16日. Filed under SQ-CUBE札幌, 札幌◎内池素直. No comments. Written by エスキューブ札幌. Posted on 2016年11月4日. 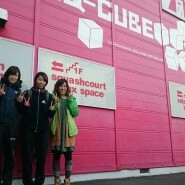 Filed under SQ-CUBE札幌, 札幌◎内池素直. No comments. Written by エスキューブ札幌. Posted on 2016年9月30日. Filed under SQ-CUBE札幌, 札幌◎内池素直. No comments. Written by エスキューブ札幌. Posted on 2016年9月14日. Filed under SQ-CUBE札幌, 札幌◎内池素直. No comments. Written by エスキューブ札幌. Posted on 2016年8月26日. Filed under SQ-CUBE札幌, 札幌◎内池素直. No comments. Written by エスキューブ札幌. Posted on 2016年8月7日. Filed under SQ-CUBE札幌, 札幌◎内池素直. No comments.